We recently launched frAGILE, a bookzine on NextGen marketing based on 26 interviews with senior Marketing Executives. 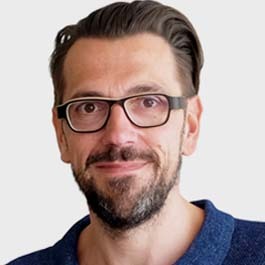 As part of our interview series, we connected with Morten Boye, Vice President Marketing Carlsberg Group Denmark, to hear his take on how NextGen marketing has changed and what is important when connecting with these young consumers today and tomorrow. What are the major changes for you when looking at marketing towards Millennials? What has changed in approaching them, in connecting with them? I think the most apparent change is the media consumption of this generation, which forces marketers to rethink how to approach their target audience. In the past, the go-to format was 3-week TV campaigns, which would allow to get in touch with approximately 82-85% of our target audience that would see our commercial 3 to 4 times. That is just not possible anymore since traditional television has dramatically lost attraction with the young. We thus need to look at the model in a very different way, more fragmented than in the past, involving many more different media. Is reach still an important KPI in times when a fragmented communication strategy is desirable? We are active in a low-involvement product category, with consumers not being very loyal. They are switching all the time, we cannot expect to have brand-loyal consumers just because we were able to catch them when they were young. We need to make sure that we put new consumers in the bucket all the time as the bucket that we have, is leaking. Consumers and especially the youngest generations are trying other products in both the beer and adjacent categories, they are looking much more for fragmentation. This is why reach and being in contact with a large amount of our target group is essential. You talk about fragmentation and trying new stuff. What are the things Millennials are looking for considering the beer category? The beer market is much more fragmented today than it used to be. Consumers want to try new stuff, where they are increasingly more interested in the story behind the product and not just the liquid. People are curious for more varieties than they used to, for more craft beers. I believe beer is now what wine was 10-15 years ago: we are starting to create an interest in the ingredients behind the beer product and in the story and the heritage behind it and that seems to engage the younger audiences also. And this story behind brand and ingredient is something we literally took at heart with the Carlsberg Rebrew project. 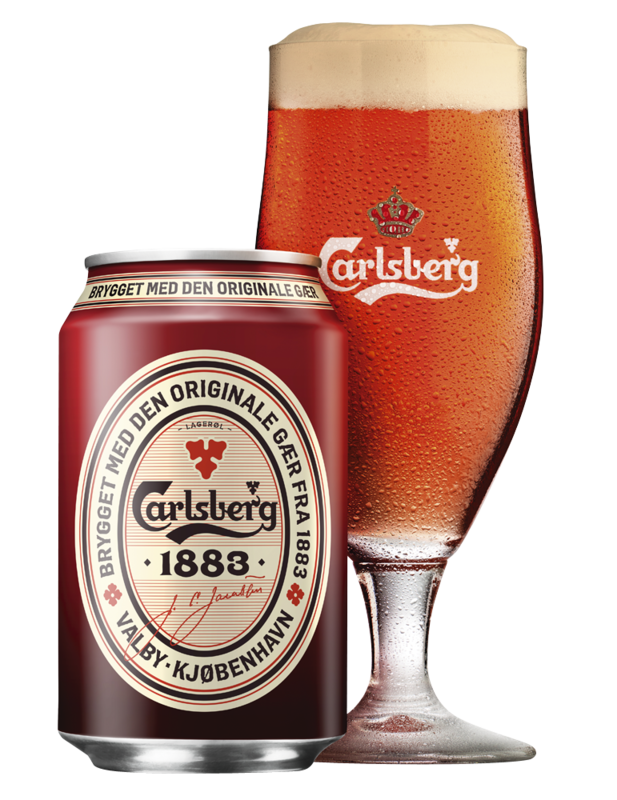 What we did is bring to live the heritage and history of our brand by producing a very limited edition, less than 1,000 bottles, for which we extracted the yeast from a bottle that has been kept in the cellars of Carlsberg since 1883. This yeast was the first purified yeast that was developed at Carlsberg. Next to working with this yeast, we reassembled the water quality, allowing us to craft a beer using the old formula and all the basic ingredients as in the 1800s. This has been one of the best beer campaigns we have ever done, because we were able to make our heritage and our history very tangible. And now, we have grown the yeast further, so we are launching a commercial product that will also be based on the first purified yeast from 1883. Going back to the roots is indeed one of the trends that brings relevance for NextGen; are there any other trends in your sector that are interesting to consider in marketing to Millennials? Increasingly more consumers request alcohol-free alternatives. Just a few years ago, alcohol-free beer was perceived as being a little bit dodgy. If you were ordering an alcohol-free beer, either you were pregnant or you had an issue. Today, alcohol-free beer is much more of a proactive choice, rather than a neglection of something you would like to have (i.e. the alcohol). So we see this is changing. 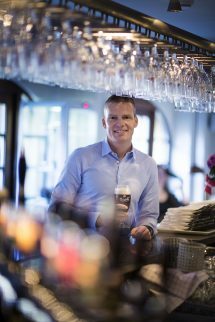 Before the launch of our Carlsberg Nordic, non-alcoholic beer accounted for 0.7% of the total beer market; now it has doubled and we expect it to grow even more. Another trend is urbanization. The fact that there are more single households, with more people living in urban areas, comes with a growing demand for smaller pack sizes. Consumers are not shopping for bulk products anymore but rather doing daily visits and buying what they need. We also see that more and more consumers are eating and drinking on the go, with the convenience aspect coming in much stronger, as is the demand for more convenient pack types. As a closing question, are there any brands outside your category that are interesting to follow with regards to connecting with the youngest generations? A brand that maybe comes to mind is Nespresso, which has not only changed the consumption of coffee, but also the whole value perception. Coffee used to be a product that you bought in 250gr packs at a campaign price. Here it’s 10 times the price of a cup, because they managed to turn this out-of-home consumption pattern back to an in-home consumption pattern. So that’s an interesting case in terms of changing the value perception of a category.